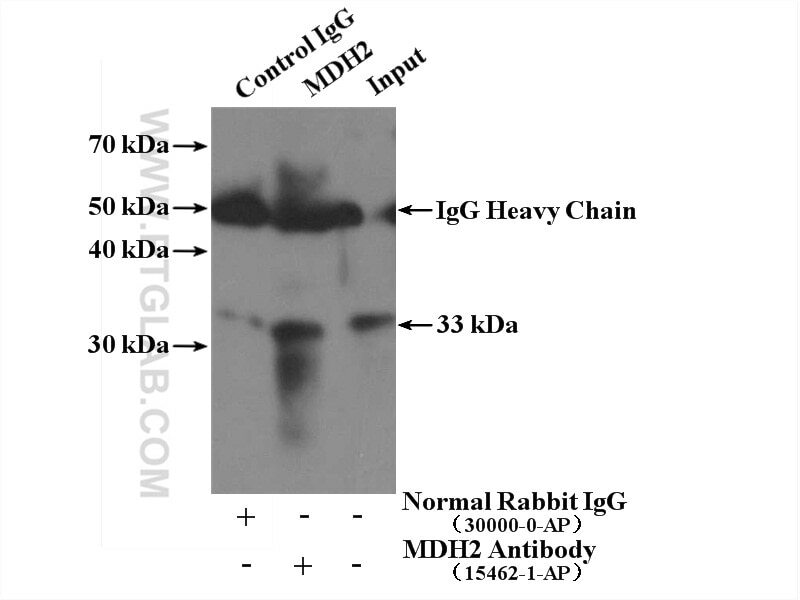 IP Result of anti-MDH2 (IP:15462-1-AP, 4ug; Detection:15462-1-AP 1:300) with mouse lung tissue lysate 3600ug. Human METTL12 is a mitochondrial methyltransferase that modifies citrate synthase. Effects of Dahuang zhechong pill on doxorubicin-resistant SMMC-7721 xenografts in mice. Coupling of oxidative stress responses to tricarboxylic acid cycle and prostaglandin E2 alterations in Caenorhabditis elegans under extremely low-frequency electromagnetic field.